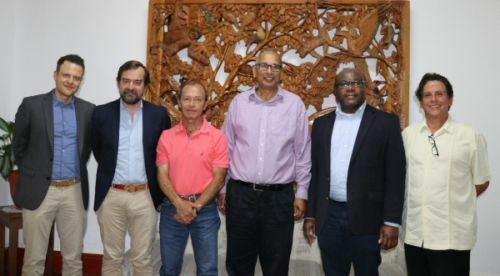 Cartago, Costa Rica, 16 January 2019 – Secretary Kent Nnadozie of the FAO International Treaty on Plant Genetic Resources for Food and Agriculture visited a globally important collection of food plant diversity in Costa Rica this week. The collections are housed by the CATIE (Tropical Agricultural Research and Higher Education Center and they conserve thousands of plant varieties of crops such as coffee, cacao and pumpkins. The plant diversity conserved at CATIE through its field and genebank collections has been collected from around the world, and is conserved for the future as well as used now to improve agriculture in the Region. Recently, the international community became concerned that the seeds safeguarded at CATIE could be lost, due to lack of funding for CATIE’s seedbank, until the Government of Costa Rica offered the necessary funds to keep the operations running, at least in the short term. The seeds contained in the CATIE Germplasm Bank are part of the International Treaty’s Multilateral System, which currently comprises the world’s largest global genepool of plant genetic material, with 2.3 million accessions. This vast global genepool of plant genetic material is exchanged around the world at an average rate of about 1,000 transfers per day through the International Treaty’s Multilateral System, which supports farmers, plant breeders and scientists in their efforts to combat the negative impacts of climate change, pests and diseases. Back-up samples of many of the CATIE seeds are also stored in the Svalbard Global Seed Vault in Norway, which stores 1 million back-up seeds of more than 4,000 plant species from around the world. Last November, in Kigali, Rwanda, the Governing Body of the FAO International Treaty discussed the dire financial situation being faced by the Germplasm Bank in Costa Rica, which put the seeds stored there at grave risk. Without the funds necessary to operate the Germplasm Bank, the world was in danger of losing this special collection of seeds of food-providing plants. A special CATIE Genebank Task Force was commissioned by the International Treaty Secretariat and the Global Crop Diversity Trust to evaluate the situation, and make recommendations of priority actions needed to save the seeds. In response to the plea from the International Treaty community and the Report of the special Task Force, the Costa Rican government provided the funds needed to keep the genebank operating for one year. Secretary Nnadozie’s visit on behalf of the International Treaty community was an important follow-up step to see first-hand how the seed collections are being conserved, and to plan future support at regional and global levels. The CATIE seedbank was formally established as a center for the conservation and use of Central American plant genetic resources. The collections were placed under the auspices of the Food and Agriculture Organization of the United Nations (FAO) in 2004, and two years later came under the jurisdiction of the International Treaty. 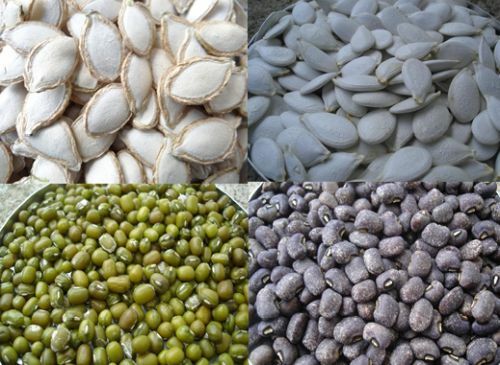 Many of the seeds stored in the CATIE seedbank are unique and were at risk being lost, unless the seedbank could continue operating or the seeds were transferred to another international seedbank. "The collection of pumpkin seeds (cucurbita by its scientific name) is the second most important worldwide in terms of its overall size and the first in terms of the number of accessions available at the international level," said William Solano, plant genetic resources researcher at CATIE. The CATIE Germplasm Bank currently contains 6,201 accessions, representing 14 botanical families, 61 genera and over 125 species of food-giving plants. Notable among this collection are the seeds of pumpkins, beans, chili peppers, corn and tomatoes. The funds provided by Costa Rica to the CATIE seedbank will help conserve the seeds for one year, and help improve food security and in facing climate change in Costa Rica and elsewhere. However, a more sustainable solution will be needed for the future, according to the report of the Task Force mandated to evaluate how best to safeguard the CATIE collections.